LSCE has been fortunate to have Diablo Water District as a client for nearly 20 years. The District is a local public agency that provides domestic water supply to residential and business customers in East Contra Costa County including the City of Oakley and Cypress Corridor. As a result of working on many District projects, we think we have developed a great relationship with the District and its employees. Nacho Mendoza, the District’s Senior Water System Operator, is one of those. In 2010, Nacho implemented a plan for maintenance savings at the District’s two reservoirs situated on 3 acres off Highway 4 in Oakley. 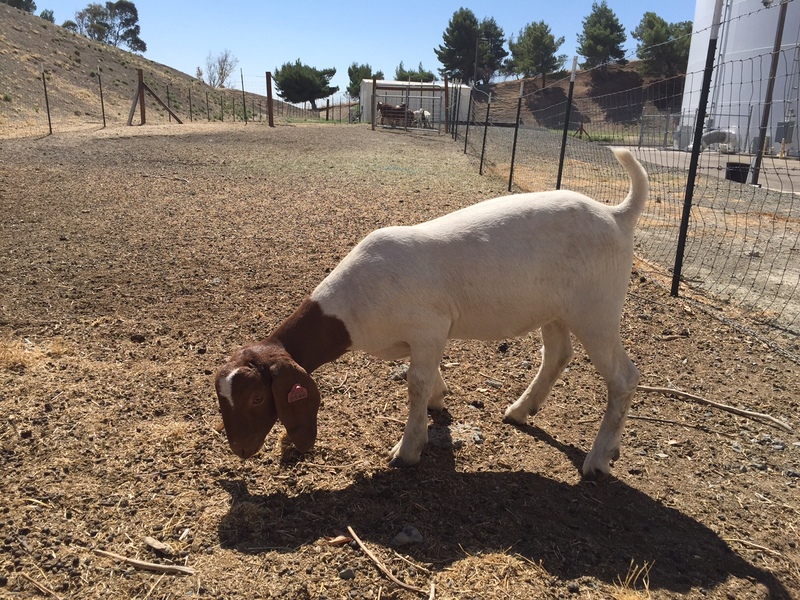 Under Nacho’s plan, the District invested in 12 goats to keep the grass and brush under control around the reservoirs netting savings of $5,000 per year. In a tradition started by Joe Scalmanini many years ago, LSCE supports employees’ sons and daughters in local FFA and 4-H activities. For the 2015 annual Yolo County fair auction, we became aware that Sam Kincaid, son of LSCE’s Office and Accounts Manager, had raised a goat through FFA that would be up for auction. 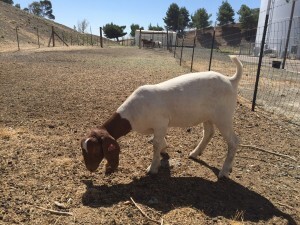 We learned of Sam’s devotion and attachment to this goat, named Bocephus, and connected support for the local FFA Chapter and donating a goat to Diablo Water District for its unique brush control program. Without letting Sam know, we envisioned an outcome not unlike the President pardoning the Thanksgiving turkey each year. The day of the auction, John Fawcett represented LSCE in bidding for Bocephus with pressure building to deliver Bocephus to an idyllic life in Oakley – or not. Fortunately, for John and Bocephus, LSCE was the winning bidder. It was a great day and even greater experience for all involved. Instead of seeing their goat off on a truck to the slaughterhouse, the Kincaid’s loaded Bocephus into the backseat of their car and drove him to the District’s reservoir site to join Nacho’s herd. When we first purchased Bocephus, we kept him in a barn at a local farm. When my Dad moved to a home in the country, it became possible to keep him much closer inside a pen in the backyard. This proximity, combined with the infinite time available in the summer, allowed me to work with Bocephus much more than what was possible before. It wasn’t long before miles of walking and hanging out with the family was on Bocephus’ daily routine. It also didn’t take long for the lonely goat to thrive on the attention he began to receive at his new venue. He grew tamer with each passing day. My 3-year old cousin could interact with him and even ride him with ease. After his time in the limelight was over and we would walk away from his pen, he would bleat (baa-ing really loud) for more attention. Even after his lead had been let go, and in the middle of the open field he was walked in, he wouldn’t run away. Instead, he would continue happily walking the path. One day after escaping his pen, which had been accidentally unlocked, he simply ran to the back door of the house and bleated for attention from us. He was, and will likely continue to be, the best-behaved animal we will ever raise for 4H or FFA. Once at the fair, he continued this behavior, amazing the goat project leader and all observers with his dependence on the family presence. 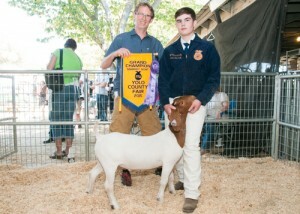 He performed amazingly in the show, earning the grand champion award. Our family has loved raising Bocephus. The purchase of him by LSCE and continued life with Diablo Water District has had a profound positive Affect on our attitudes.